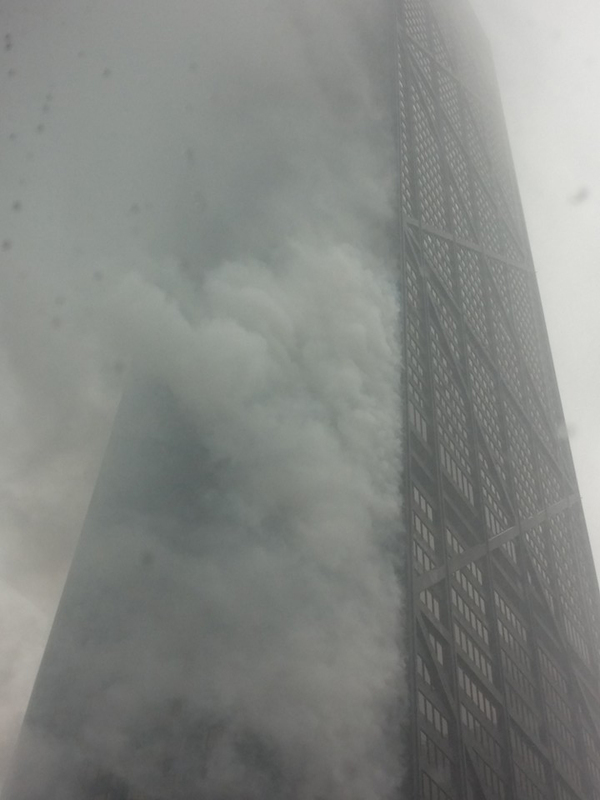 CHICAGO -- Five people sustained minor injuries in a fire that broke out in the iconic John Hancock Center Saturday afternoon. The fire was accidentally started by a woman living on the 50th floor, a Chicago fire official said. The fire broke out in the unit's bedroom, which faced the east side of the building. The woman escaped unharmed. 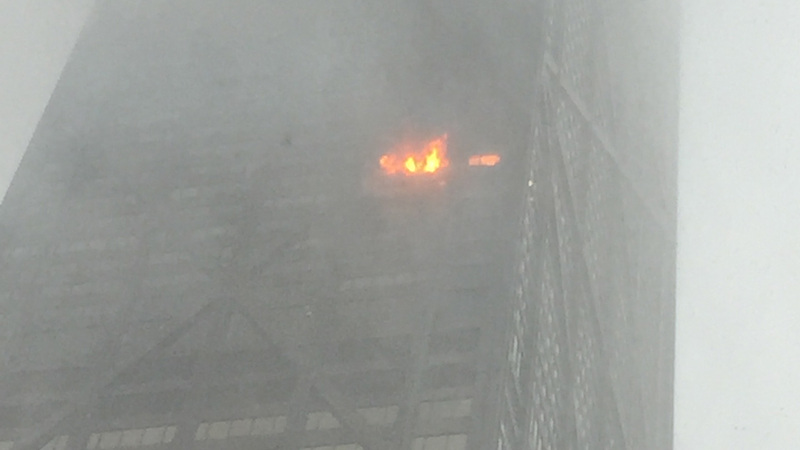 All residents of the 50th floor have been displaced, a fire official said. The fire started at about 2:30 p.m. and was under control by about 3:15 p.m. Among the injured was a Chicago police officer who was in the area and ran into the building when he saw the fire, officials said. He suffered from smoke inhalation. In total, including the police officer, two people were hospitalized in good condition and three were transported in stable conditions. Immediately after the fire, residents were told to stay in their units unless they are having smoke issues. Fire officials conducted a floor-by-floor search, fire officials said. The Hancock, located at 875 N. Michigan Ave. in the Streeterville neighborhood, houses office, retail and residential units and is the fourth tallest building in Chicago. The building has 700 private, luxury condominium units, according to the building's website. Among the Hancock retailers are the Cheesecake Factory on the ground floor and the Signature Room on the 95th floor.